Relax your cares away because it’s Tiki Time! Read a book in the shady outdoor hammock, take a lazy day to float in the pool or enjoy your margarita poolside. Located in the quiet residential neighborhood of Coco Plum Beach, this home offers a private resort style pool with deck and abundant poolside seating. The outdoor area of this home will impress! Alongside the pool you find a large Tiki Hut providing shade for the hammock, a kids' sandy play area, and the picnic table. Cook up a meal on the gas grill and enjoy it outside on the ample poolside seating. Water views and tropical landscaping are featured throughout the entire backyard. Tiki Time truly is an Island Paradise. Tiki Time sits on an over-sized, tropically landscaped lot so you can enjoy your privacy amid the numerous swaying palm trees. The large driveway provides plenty of off-street parking as well as room for your boat trailer. 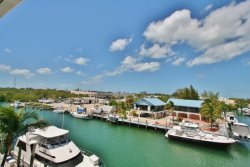 This Florida Keys Vacation Rental is perfect for fishermen and families alike. The waterfront boasts plenty of dockages, clean and deep water, a fish cleaning table, and separate ice and baits freezers. Tiki Time is located just minutes from the Atlantic Ocean by boat. Have a large group? No Problem! Tiki Time is perfect for a large family or a multi-family reunion with enough room for children and adults to have their own space and privacy. The unique floor plan is ground level and features a second family room, as well as a "Bunk House" style room that sleeps seven. The large, screened porch boasts beautiful water views and features plenty of room to dine outside. Furnished with ceiling fans and a large Hot Tub, Tiki Time provides entertainment around every corner. The spacious and airy floor plan keeps large groups from feeling cramped, while still maintaining a friendly and comfortable atmosphere. The newly updated kitchen features stainless steel appliances and granite countertops. Tiki Time is equipped with 3 separate refrigerators; one in the kitchen and two on the screened porch for your overflow and bait. This home features 5 bedrooms and 5 bathrooms. The bedding consists of 2 King beds, 2 Queen beds, 1 Double bed, 2 Twin beds, 1 Set of Bunk-beds, and 1 Daybed. There are TV's in all five bedrooms, as well as both living areas. Coco Plum public beach is within walking or bicycling distance from the home. This natural beach is typically less crowded than other local beaches and provides a covered pavilion and restrooms. Coco Plum Beach is one of the only completely dog-friendly beaches in Marathon and is perfect for letting your four-legged friends burn off some energy and enjoy the ocean. The waters are shallow so it’s not the best beach for swimming but the long, beautiful stretch of beach is perfect for a walk with stunning sunsets. Due to the shallowness of the water, Coco Plum Beach is also ideal for windsurfing. Beach hours are 7 am until dusk. Make sure to try out some of our local dinings and enjoy waterfront entertainment and music at several of our nearby restaurants. Sparky's Landing in Key Colony Beach and Burdine's Waterfront located at the end of 15th Street are some of our favorites. Fishing charters, boat and kayak rentals, scuba diving and kite boarding are just a few of the many forms of entertainment and adventure available to you in the Florida Keys. You can also reserve a spot to swim with the Dolphins and Sea Lions up at the Dolphin Research Center in Grassy Key or tour the Turtle Hospital and Rehabilitation Center right here in Marathon. Just across the Famed Seven Mile Bridge lies Key West, a 50-mile scenic drive away. Whether you're window shopping on Duval Street, visiting the Hemmingway House and the Southernmost Point, or watching the street performers in Mallory Square, Key West has something for everyone to enjoy. Guests are responsible for rinsing off the kayak after each use and kayak during and after use. Your damage insurance policy does NOT cover theft or loss and guests will be held responsible. We had a fantastic time there - two families: 4 adults and 4 kids. I reckon we could have had double that and still been fine! The accommodation was large with lots of separate but big areas - great mix of external and internal rooms, facilities were great too. The pool and tiki area encouraged a very relaxed approach to things and the kids practically lived in the pool. The temptation was to stay in the whole time and we cooked in a lot - especially with the fish that we caught using the boat we hired and docked "in the back garden". The kayaks drawn up on the lawn were a nice touch too. Very few bugs & great weather in April. We did get out to some restaurants, down to Key West with some parasailing, scuba and snuba thrown in. We would definitely stay again and were kicking ourselves for not arranging a longer stay! Highly recommended. Recommended for: Families with teenagers, sightseeing, age 55+, families with young children, girls getaway, adventure seekers. Great vacation destination. Super accommodating for a large group. All on one level with lots of privacy. Multiple families have their own space. Very comfortable house with lots of beds and sitting areas. The pool area is wonderful. BIG pool and the hammock is a favorite napping spot under the tiki hut which offers lots of shade. (May need to start a sign-up sheet for time slots:). Screened-in porches are awesome for escaping the bugs, although there weren't many bugs while we were there. The dock area is very nice too. Easy to throw a line in from the dock. Super for having your own boat - or 3 boats. Great waterfront and dock space. Perfect canal for kayaking. The kitchen is roomy and functional. We cooked in most of the time and it is stocked well. The grocery store is a quick drive away. Nice, quiet neighborhood and a nice walk to the beach. I would definitely stay here again. A thoroughly happy vacation was enjoyed by all for one week at this home on Marathon Key. The house is large, well furnished and the staff was very pleasant and attentive. The pool was perfect and the boys were happy fishing. The house is arranged so that the night owls have plenty of play space and the early risers can have their space too. The neighborhood was wonderful and convenient to Publix and plenty of restaurants as needed. We spent most of our evenings grilling by the pool and even enjoyed a trip to Key West one day which was perfect but everyone was most happy at Tiki Time. Obviously, we will return! We travel as a family to Marathon every two years for the holidays. Every time we use Coco Plum for our rental needs. We would not consider going anywhere else. The staff is very knowledgeable, friendly and dedicated to making our vacation experience one to remember for all the right reasons. We enjoyed staying here! Thank you!